Before I installed this package I was getting an HTTP error 500 from http://localhost:8308/swagger and an HTTP error 404 from http://localhost:8308/swagger/ui. However, http://localhost:8308/swagger/v1/swagger.json worked as expected. 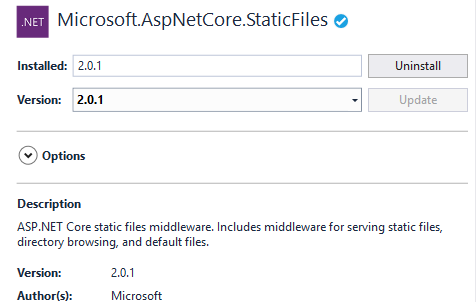 Just a little gotchya with Swagger UI + ASP.NET Core!